In the Bond film, the Lotus Esprit was involved in a protracted and high adrenaline car chase scene which culminated in the Lotus Esprit 1976 transforming (in true, imitable Bond style!) into an underwater submarine. Sadly, the models that were for sale on the market lacked this underwater capability as well as the various other gizmos and gadgets that Bond had. Nevertheless, sales did not seem to suffer too much! The car scene in question quickly overshadowed the actual film itself, and given that the car had only been available for sale for roughly a year when the film was released was nothing short of remarkable. The Lotus Esprit was first revealed at the Paris motor show in the autumn of 1975 and after much critical acclaim from industry experts and critics alike, production began in earnest the following year. 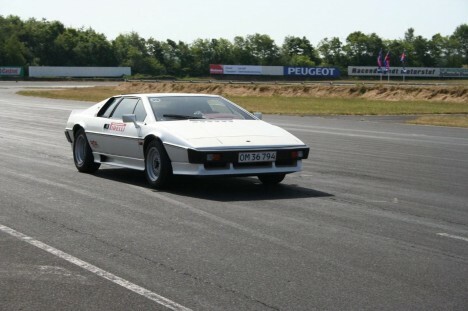 A particularly notable example of the success that the Lotus Esprit enjoyed was that even though the company was perhaps guilty of being rather overly positive as to the actual capabilities of the vehicle. Lotus made claims as to its actual speed which were widely discredited after expert testing, although the discrepancy was a very slight one, in the rather pedantic world of sport cars, such omissions are not usually easily forgiven. Instead of harming its credibility, the Lotus Esprit enjoyed many sales particularly in the US and UK. What the Lotus Esprit lacked in raw power it more than adequately compensated for in the fluid handling that it afforded the driver, and the steering was especially hailed as being nothing short of revolutionary helping to also solidify its reputation as an exceptionally safe car to drive and handle as well. Not wanting to follow the example of many of their competitors, the Lotus company decided against resting on their laurels and so set about making a series of alterations and improvements to the Lotus Esprit. The Series 2 of the Lotus Esprit were more cosmetic than structural, and a prime example of this was the release of a small number of limited edition Lotus Esprits which were specially constructed to celebrate the various victories the company had enjoyed in various rally races. Estimates indicate that around 179 special edition cars were produced although given that the notoriously vague records kept by Lotus there is no particularly definitive way of measuring the accuracy of this figure.